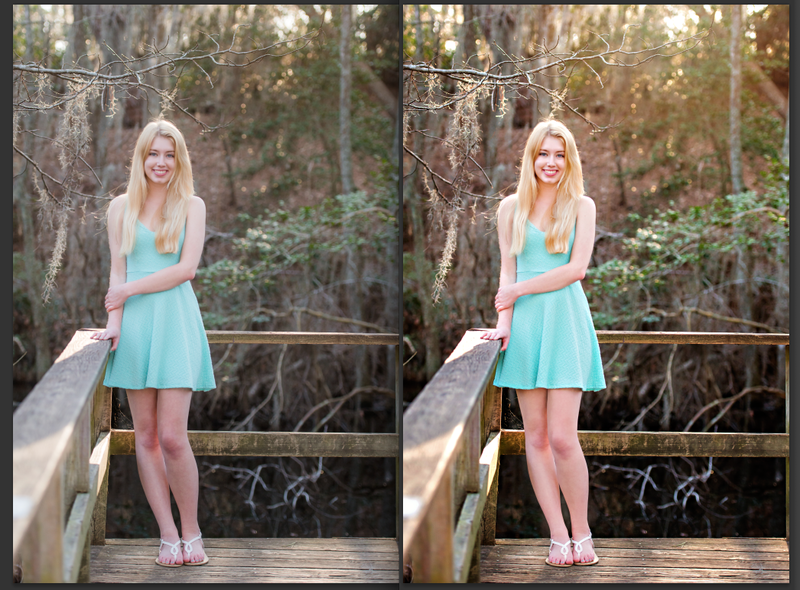 Today I'm sharing a little before and after from the senior session I shot last week. I just sent out this gallery the other day. For seniors, I do more hand editing than for most family sessions. I tend to shoot more portrait-style work for seniors, with slightly more posing. I try to keep it pretty natural, but do smooth skin, whiten teeth, and dodge and burn to bring out highlights and add depth. I also removed umpteen flyaway hairs from the close up shots in this session. While I did try to keep an eye out and have her smooth & comb her hair before I clicked the shutter, shooting with backlight can make for an editing nightmare with stray hairs. 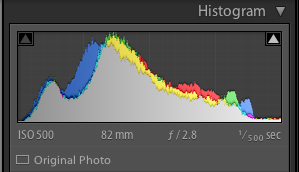 All those finite details take a lot of time to correct in post-processing! I did learn a new trick though, by duplicating the background layer in PS and adding a dust and scratches filter, I was able to use a layer mask to help paint over many of the flyways. Here's a link to a tutorial of this method if you're interested: Editing in PS. These are beyond gorgeous! What a fantastic model and the lighting is magical! She is gorgeous!! Fabulous work Melissa!! Thanks for the link to the tutorial too!! I've already pinned and it am in the midst of trying it out!! What a timesaver that looks to be!! Beautiful shots! Thanks for sharing the before & afters. It's nice to see the process. I like seeing the side by side before and afters. 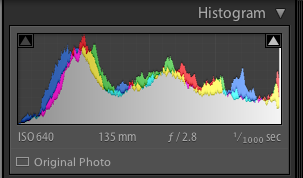 Sharing your histogram is such a great idea -- as a newbie, I appreciate the insight!